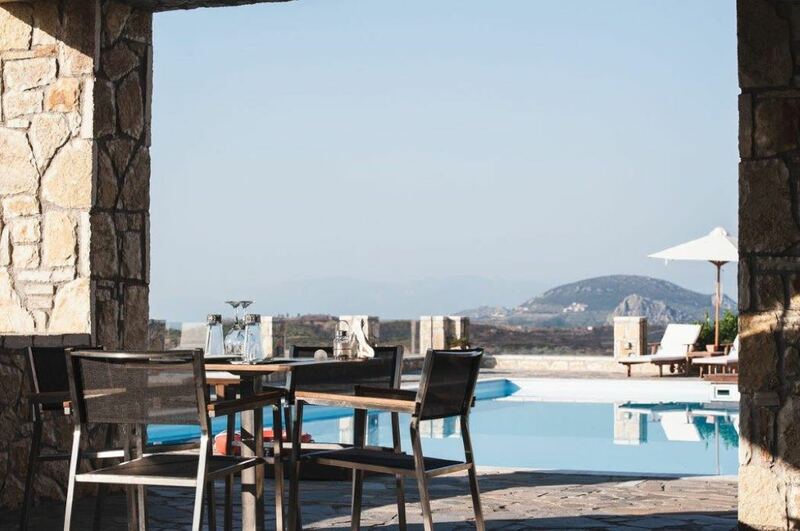 Perivoli hotel, a proud member of Tresor Hotels & Resorts, is on the mainland in the South of Greece. 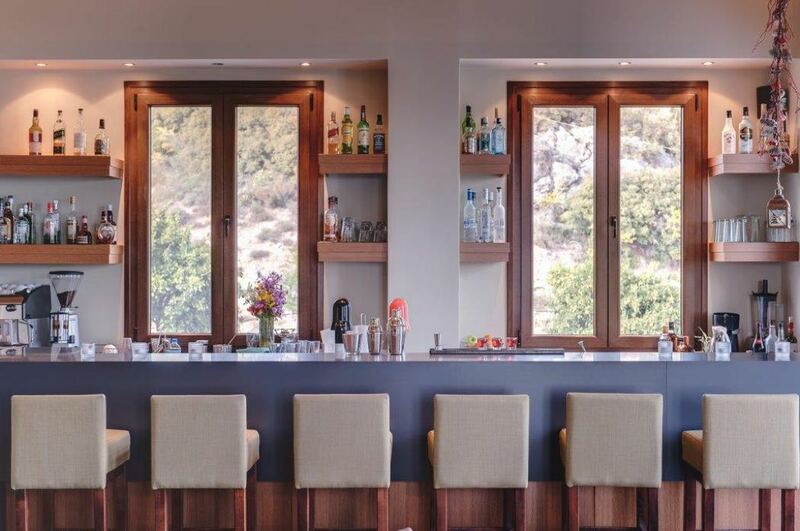 Tucked away in the hills just 8km away from bustling historic Nafplio and under 2 hours drive from central Athens, this boutique hotel is an ideal haven for relaxation and quiet. Come here to see a less touristy side of Greece. 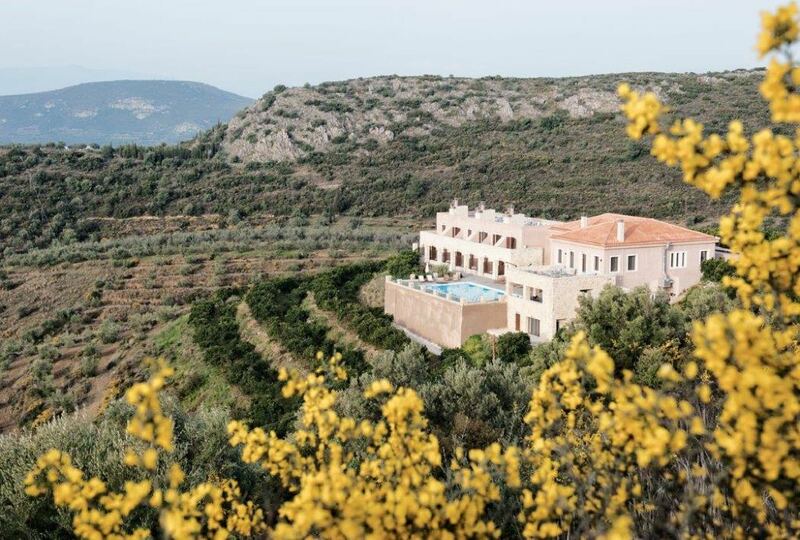 A land of green fields, open pasture, olive groves, forests, caves and crystal-clear waters. Nearby historic sites like Epidaurus are a short drive away or go hill walking and cycling off the beaten track. This region is also known for its uncrowded beaches dispersed over a long coastline adorned with numerous coves and headlands. Here you can water ski, windsurf and kitesurf as well as dive, fish and sail. The newly built Perivoli was designed in keeping with the traditional and architectural details of the area. 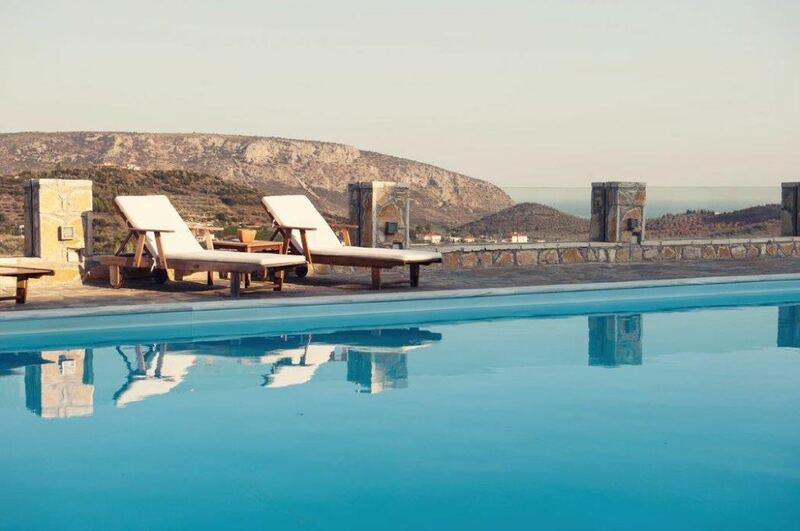 It has panoramic views from all it’s rooms as well as the pool and restaurant so that guests can admire the landscape, the village, and in good weather, the sea at Tolo and the mountain of Parnonas. The hotel has eleven generously sized double bedrooms, one superior double room and one triple room which is 40 square metres in size. You can also book into the deluxe two-bedroom apartment. At 85 square metres this is large enough to fit a family comfortably. All rooms have private balconies or terraces with superb views. They offer luxurious furnishings and have a fireplace, wooden floors and beamed ceilings which give them a modern and but traditional character. The olive, pale pink and blue shades of colour in the decor are soothing and match the colours of the countryside outside. Each room is fully equipped with air conditioning, independent heating, an LED TV with satellite channels, Free Wi-Fi, beds with environmentally friendly mattresses, soft bath robes and the amenities are organic. 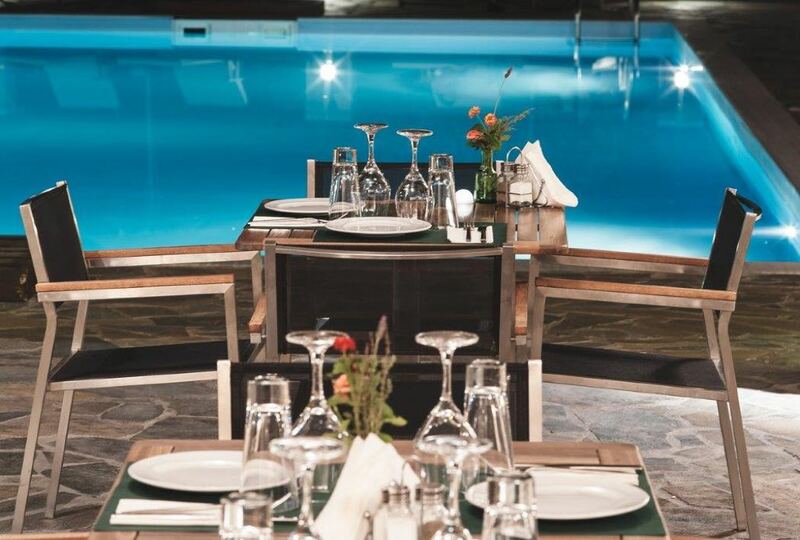 A healthy breakfast menu is served in the main restaurant with its large traditional stone fireplace, or by the pool depending on the weather. There is an excellent buffet of delicious home-cooked food including traditional hot bread, butter, locally produced honey and yogurt, Greek local cheeses, homemade jams and spoon sweets, cakes, homemade pita bread, cookies, fresh eggs, cured meats, salamis, fruit, milk, natural fresh orange juice (produced on the land around the hotel) and coffee. Perivoli’s restaurant, which operates daily between March and October, serves up gourmet dishes prepared with local produce. This traditional Greek cuisine offers tasty, healthy and delicious dishes, and in the summer you can enjoy them outdoors on the terrace. The pool sits at the front of the hotel, elevated above the surrounding countryside. Here you can enjoy views from your lounger during the day, and in the evening the restaurant spills out around the pool to offer romantic poolside dining under the stars. 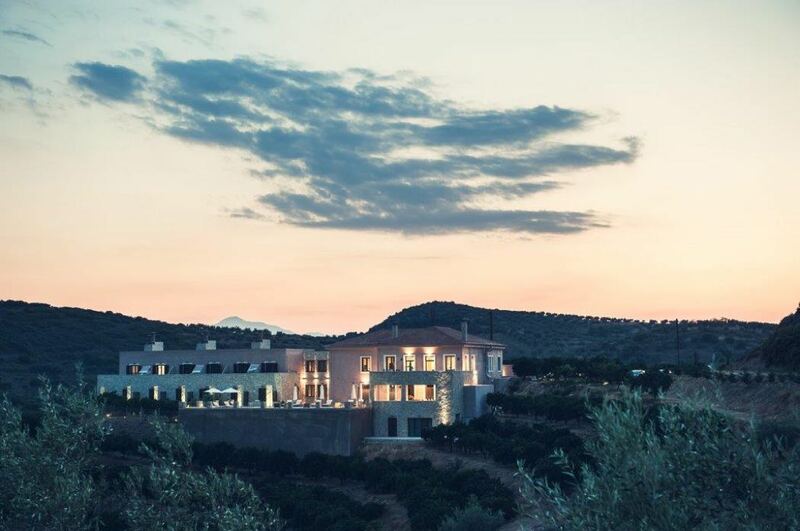 Nestled into a mountainside, surrounded by orange groves and with panoramic views you are unlikely to find a more peaceful retreat in Greece.